Construction of the $3.6B Queen’s Wharf Brisbane development is underway. Demolition of the non-heritage buildings occurred in 2017 and now in 2018 we are undertaking excavation and shoring activities for the future integrated resort development (arc shaped building) basement. Basement excavation and shoring work is being managed by Probuild. For any construction, employment or supply opportunities related to this package of work, please contact Probuild direct on: 1800 676 329 or email: queenswharf@probuild.com.au. The basement excavation and shoring is expected to continue until late-2019 when the site will then be ready for foundations. 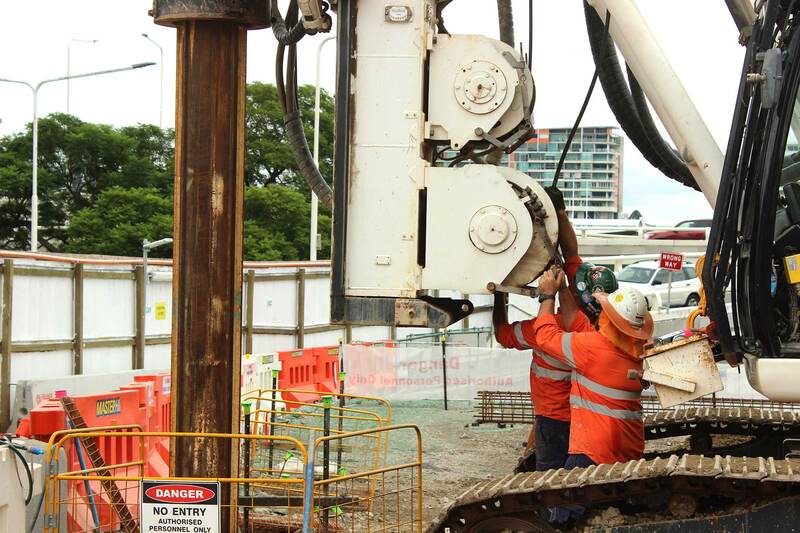 In another area of our site, Multiplex has begun work has begun for construction of Waterline Park and the Goodwill Extension area upgrade that will see the transformation of a 500 metres stretch of the Bicentennial Bikeway from the Goodwill Bridge to the area behind 1William Street. It will also include construction of a 450 metre walkway above the Brisbane River. Waterline Park and the Goodwill Extension area upgrade work is expected to be completed by late-2019. 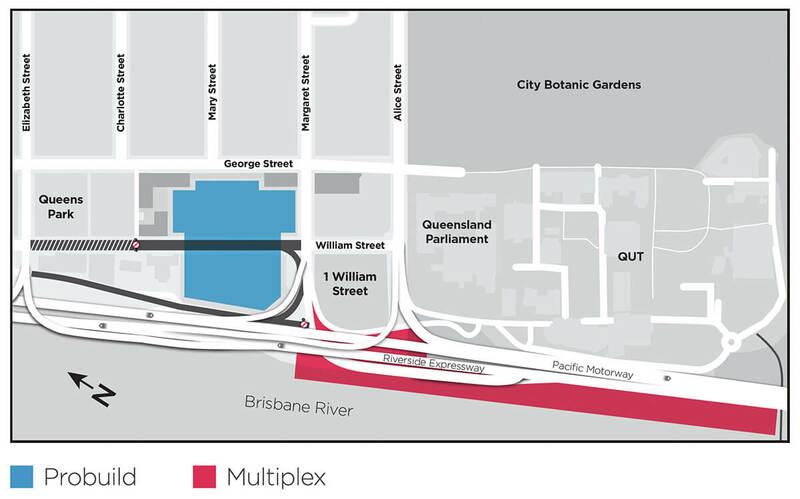 For any construction, employment or supply opportunities related to this package of work please contact Multiplex direct on 1800 931 760 or email queenswharfbrisbane@multiplex.global. Later this year Destination Brisbane Consortium will go to tender for the main integrated resort development. More information on this process and how you can be involved will be advised through our website and monthly newsletter. In mid-2018 Destination Brisbane Consortium established a project information page with the Industry Capability Network (ICN). To stay informed about work packages, please visit the ICN website at www.queenswharf.icn.org.au. Construction notices detailing any work occurring outside the site boundary or outside normal hours are uploaded to our website under the Construction page, however you can also subscribe for automatic email updates via our ‘stay informed’ icon on the top right corner of this page. Destination Brisbane Consortium is excited to be building this transformational city changing project for Brisbane and we thank the community for their patience while this work is undertaken. For general enquiries please contact the consortium direct on 1800 104 535 or email qwbenquiries@destinationbrisbane.com.au.